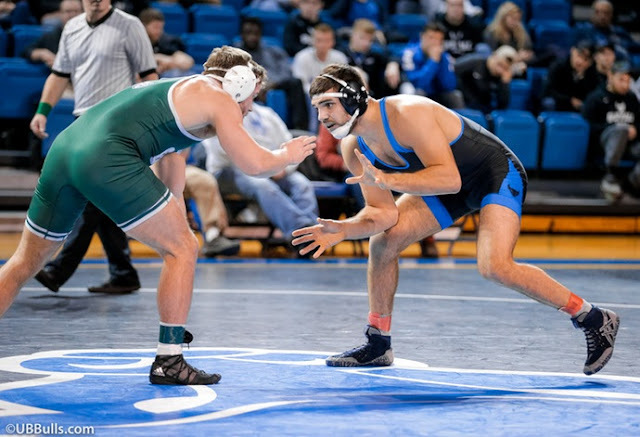 EAST LANSING, Mich. – The University at Buffalo wrestling team dropped a hard-fought dual at Michigan State, 28-12, on Wednesday night. The loss snapped the Bulls' three game winning streak. Buffalo finished strong by winning the final two matches of the dual. Aided by two third-period takedowns, Brett Perry took an 8-5 decision over Nick May. Jake Gunningcapped off the dual with a 7-4 decision over Christian Rebottaro at 285.